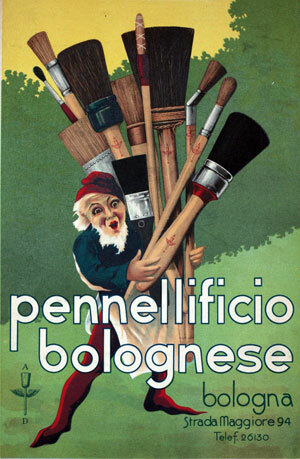 The Origins of SIT date back to 1662 with the "Laboratorio Artigianale per la Fabbricazione di Pennelli" purchased by Alessandro Acquaderni in 1908 to become "Pennellificio Bolognese"; the first factory manufacturing draw brushes for industrial use. We are currently rebuilding and reorganizing our historical archive, tracing and classifying the documents, the posters, the machineries and the products of Laboratorio Artigianale, of Pennellificio Bolognese and of SIT. If you are curious or if you want to help us to reconstruct the link with the productive fabric of Emilia Romagna and with the history of industrial revolution in Italy Contact us! In 1950 takes place the productive change of Pietro Acquaderni, grandson of Alessandro, who transforms the production favoring industrial brushes. Thus in 1960 (99 years after the Unification of Italy) was born the Società Italiana Tecnospazzole with a new plant in Casalecchio di Reno, in the province of Bologna. Thanks to its state-of-the-art productive processes within a few years the company becomes the leader in its industrial sector and in that of hardware and tools. In 1995 and in 2002 the productive area and the offices are extended. The plant is thus tripled allowing to add new machines, new automatic lines and to hire more people. All these steps were essential to maintain and consolidate the leadership in its sector.